columns 1.png The first one should simulate columns with guidelines on master pages. columns 2.png For the second one, please add "Gutter Width" beside "Columns" on the Context Toolbar. Ha, Publisher begins to remind me to Quark -> you have to search through menus for features that should be noticed at first sight. Who will ever think about to search there? It should be next to "Columns" in the Context Toolbar. You would do well to memorize the keyboard shortcuts you use most for either application. But at least with Q the Measurement palette has many things grouped well. So if nothing else, you could memorize the shortcuts to the various tabs on it. In APub, most things either have shortcuts defined or can be (re)defined to what makes sense to you. You showed two places you think it's needed. I pointed out that one of them is available. The other one you showed is in Context Toolbar version. But to answer your new question (Who will think to search there) anyone who learns Publisher will learn that the Guides Manager exists, just as they'll learn about the other Managers, and will know to look there. So, maybe it is better to remove "Columns" from the Context Toolbar. Obiviously it is not needed there. It is just the half of the pair and it is useless without the "Gutter Width" next to it. It may be useless to you, but it works fine for me (and probably for many or most casual users). What's available on the Context Toolbar allows me to easily have multiple-columns within a Text Frame, with gutters decided by Publisher. For most of my quick work, the Publisher-assigned gutter is just fine. 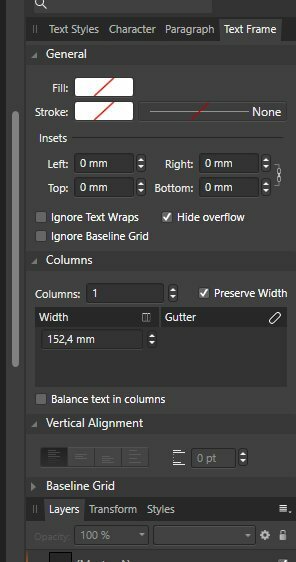 When I need more control (that is, for something more sophisticated) it's easily available in the Text Frame studio panel, which allows manual specification of the gutter size along with many other useful aspects of the Text Frame. I don't see a need to have more gutter control available on the Context Toolbar, too. Yes, I can't help thinking that having the column settings in guide manager is a bit arse about face. I had to go look it up in this forum to even know where to find it. 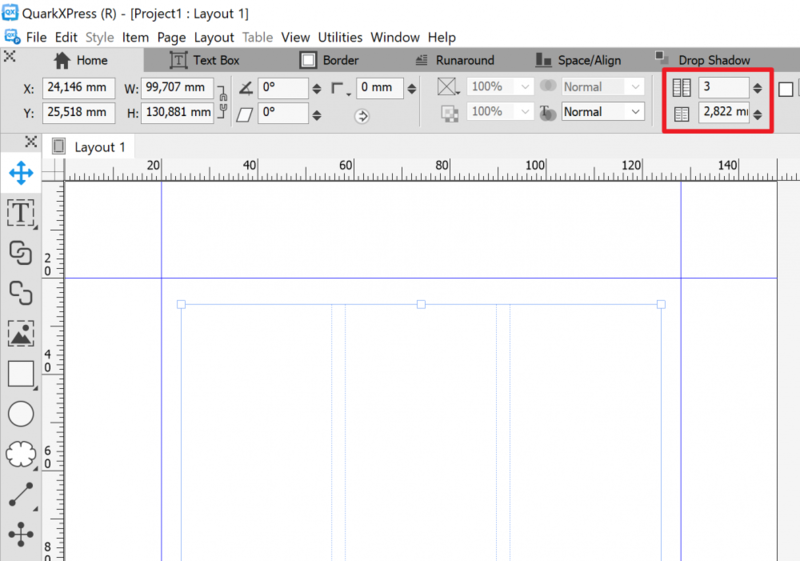 I have been using Indesign for 18 months at work after formal training on it, and even if you weren't planning on having a "layout" tab, surely it makes more sense to put the column settings in the Document Setup area, or near to it? Anyone who has used DTP extensively, professionally or not- the first thing you do is set up your master pages, including your guides. Therefore it makes sense for this setting to be quick and easy to find. Actually setting up the columns themselves in AP is also a bit round the houses- I had to add the setting to the relevant vertical/horizontal box and then click it before it even showed up on the page....? C'mon Serif! I had to go look it up in this forum to even know where to find it. Just because a usable feature is the same as in something else doesn't mean it is a clone. Personally I believe being different for difference sake is worse. And don't forget the textframe-tab where you can modify the columns and the gutter to your needs. I can concur with this. I was more referring/remembering to several posts (that I do not have at hand but in mind) by Serif that they do not try to clone or copy InDesign. My intention is to point out that APub is a new software that we all have to learn to use. I think it would be nifty if you could configure a text box to automatically have columns at the positions of the page column guides that are underneath the text box, obviously as an option, so that if you drag the text box across the page the column separations and gutters stay with the positions on the page. So, because we have "Columns" icon on context toolbar already, maybe it will be better to remove it from "Text frame" panel? Why it can be on two places and gutter on only one? because﻿ we have "Columns" icon on context toolbar already, maybe﻿ it﻿ will﻿ be better to remove it from "Text frame" panel? Why it can be on two places and ﻿gutter ﻿on only﻿ ﻿﻿one﻿﻿﻿﻿﻿﻿﻿﻿﻿﻿? If you removed it from the Text Frame panel then you guarantee that when you need to set both options you have to use two different locations to set them. The context toolbar only lets you set the number of columns. The width of the columns and the gutter settings are what go together, and those are only in the text frame panel. The width and gutter of each column can be set separately, and there would not be enough room for those controls in the context toolbar. Yes, no room because it is cluttered with icons instead of some palette like Measurement palettes in Quark and ID. Even those wouldn't have room. 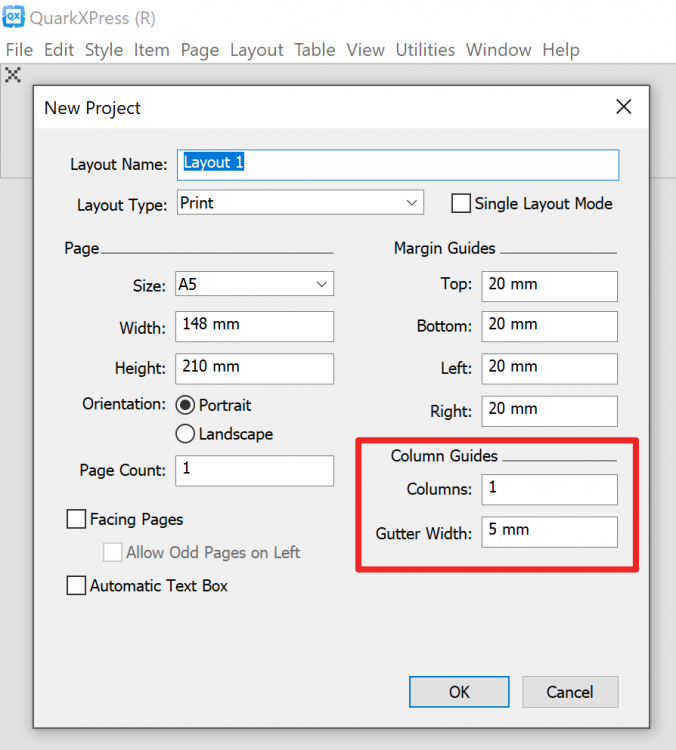 In Affinity Publisher, these options are in a list box because the number of them matches the number of columns: if you have 5 columns you need 5 rows to display the values. Putting such a list box in a toolbar, even one of the screen-consuming tall ones that QXP and ID use, does not strike me as a good practice. This is the main reason why the gutter width is not on the context bar.